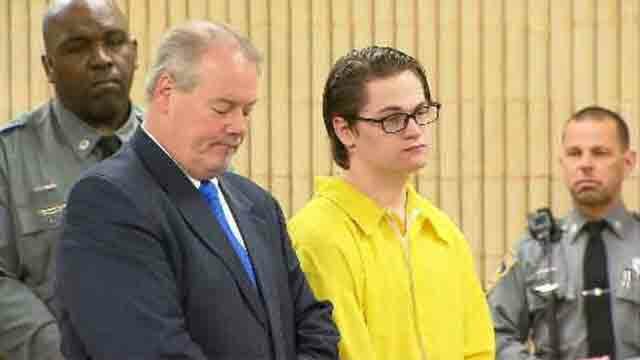 MILFORD, Conn. -- A Connecticut teenager has been sentenced to 25 years in prison for stabbing a classmate to death at their high school because he was upset she turned down his prom invitation. A judge handed down the sentence to 19-year-old Christopher Plaskon on Monday in Milford Superior Court. Plaskon pleaded no contest to murder in March in the killing of 16-year-old Maren Sanchez inside Jonathan Law High School in Milford on the day of the junior prom in April 2014. A witness tried to pull Plaskon off Sanchez during the attack, and another saw Plaskon discard a bloody knife, according to an arrest warrant affidavit. Plaskon was taken to the principal's office in bloody clothing and told police, "I did it. Just arrest me," according to the affidavit. Plaskon's attorneys have said he showed signs of psychosis and they considered an insanity defense. Sanchez's parents filed a lawsuit accusing the school system of negligence, saying she told a guidance counselor that Plaskon was troubled and capable of hurting others. School officials have declined to comment.